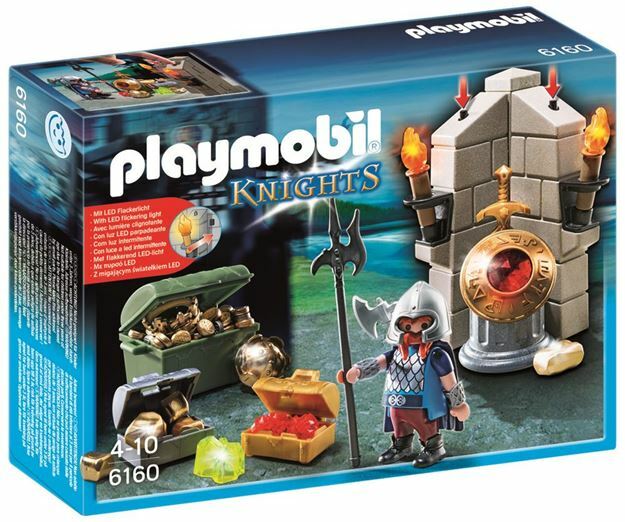 Be wary of thieves and stand watch with the Playmobil King's Treasure Guard. Use the two electric torches to light up the dark as you keep an eye out for sneaky robbers. 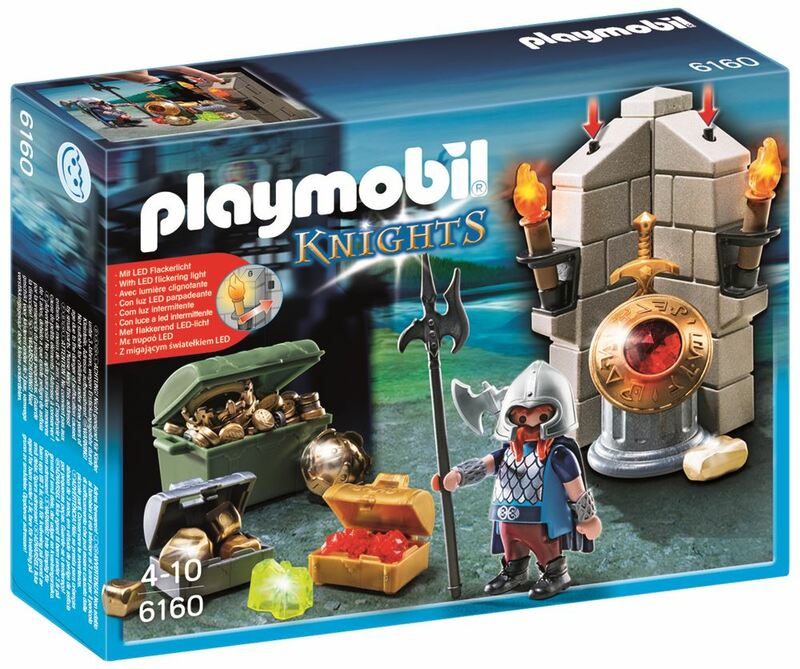 Includes an armored knight figure, treasure chests, jewels, gold, coins, ruby shield and accessories. Batteries not included. Part of the Knights range. Age 4+ years. Distributed in New Zealand by Holdson.